Brownie is the cake preparing of which will help you to be proud of yourself. The easiest recipe can provide lots of pleasure and joy. The recipe also leaves a space for improvisation – you can bake it with cherries, bananas, coconut, nuts, and etc. Brownie is the best way to make your guests happy and not lose lots of time on cooking. 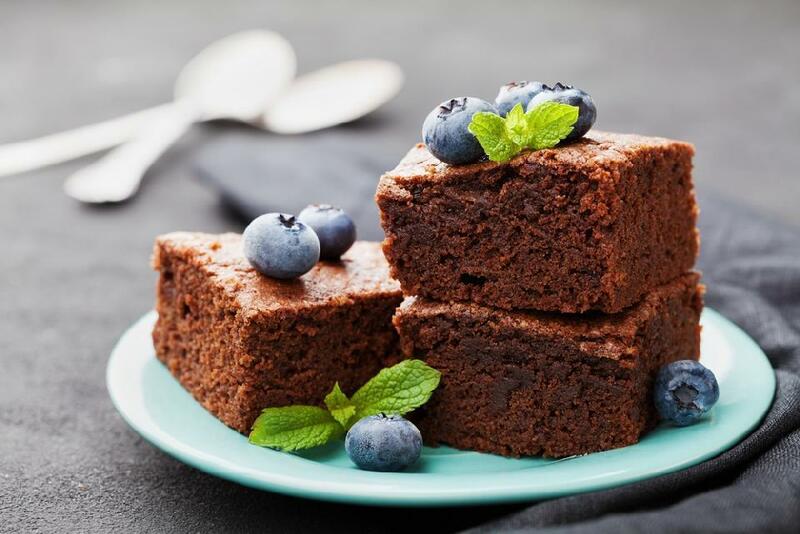 Brownie can be baked with both – cocoa powder or dark chocolate. We recommend you the last one. You will need 3 eggs, 275 grams of sugar, 185 grams of butter, 185 grams of finest dark chocolate, 85 grams of flour and 40 grams of cocoa. Melt chocolate and butter on a water bath. Wisk eggs and sugar, add them to melted chocolate and also don’t forget flour and cocoa. Gently mix all the ingredients together and bake at 180 C.